I was young and still making my world. Oh, this book. If you know me from past reviews or forums you know I’m a big fan of Erikson and his immense Malazan series, but it still wouldn’t be just enough to make me interested in whatever he’s going to write in the case it goes out of the boundary of his fantasy series. This book was published one year before “Gardens of the Moon”, the first book in the Malazan series, and it can be considered “mainstream”, meaning that it’s a story set in our world and without any fantasy element in it. That puts it right beyond my reach, because, as I explained, my interest is limited to his fantasy work. I bought it because a new version is coming out in January, revised, and I found out that only used copies were available of the old one, that also had a much better cover. It cost me just around two dollars, so it was an handful of trivial details that made me buy it on a whim, and when it arrived I started to read since it was also a nice change of pace from books exceeding 800 pages (this one being “only” 359). Just curiosity. I was expecting to find some seeds from which the Malazan series would grow, and a style of writing yet to mature, rougher even compared to GotM, that would show the hints of the kind of writer Erikson would become later. I was expecting to find that kind of hidden talent still to blossom that you can discover when reading the early works of some important writer. Now that I turned the last page, and certain of what I’m saying, I’m bewildered because this is Erikson’s best work, and by a fair, safe margin. It’s so much better, stronger, sharper, more powerful. Despite having liked a lot GotM I’m between those believing it has its flaws. It shows promise but it’s only the spark of what comes after it. It shows a writer that has talent and insight, on the right path but still compromising a lot and finding his voice. I argue about these flaws in discussions, but I recognize they often are legitimate. Well, for me that excuse won’t hold anymore, because I have in my hands a book, published one year before, that turns those specific weakness that many recognized into its sharpest points. This book excels on those specific aspects that were widely recognized as weaknesses in GotM. The characters feeling pulled randomly out of a roleplaying game and not developed, the plot that seemed to move without cause and effect, “not caring” about was going on. Being left cold, unengaged by a story folded on itself and without showing access points to let the reader in. A cold, confusing, contrived and apparently shallow world that only a certain type of geek could find interesting. “I didn’t care” is probably the most hurtful thing you can tell a writer, any writer. You are telling them that their work left you cold, unaffected. Unfeeling. A story that was a waste and wasn’t worth spending time reading. It means failure even if that work has been interesting in some other ways. Every reader knows of holding that weapon, and will leash out to stab viciously without a second thought. That’s the nature of the deal and I’ve often found it in discussions about the Malazan series. Even if my opinion is different, I still recognize some truth in those claims. This part of the discussion could go on about the details, but it serves me to say that “This River Awakens” turns everything on its head. So often we all suggest readers to try again, to stick with the Malazan series and go at least through the second book, because it gets so much better, the prose is better, and so many of us completely changed opinions reaching that further point. The excuse we make is that almost ten years passed between the writing of the first and second book, and Erikson improved immensely, just you see. Well, that excuse can’t hold anymore because “This River Awakens” shows a sheer talent already fully mature (you could fool me telling me this book was written -after- the whole Malazan series). It has characters I’ll remember forever and that seized forcefully my heart, and then squeezed. Books never, no matter what book, what writer, what genre, get me so emotionally that I feel the swelling of tears and a tightening inside, I don’t know why, but books don’t work for me that way. But this book breached anyway. “Not caring” here is impossible, I dare you. It kept me on the edge, turning pages with the heart tightening (and quickening) to find out what would happen. Sincerely, this book was emotionally the opposite of the Malazan series. That I love, you should know, but never gripped me this much viscerally. Not Itkovian (he’s in this book too), not Felisin, not Heboric, not Coltaine and his Chain of Dogs. This book was more. I know that the more I gush the less I’m credible, but this is the kind of book you want EVERYONE to read. A thing that can’t be left private and forgotten, knowing you hold a kind of treasure that is your exclusive. But you have to read this book. I imagine it must feel frustrating for Erikson having written such a masterpiece, then become popular for writing three million words in a fantasy. I’m not belittling the genre, I mean that “This River Awakens” is a book that is indispensable to read even if it can’t rely on hooks like epic wars, fireballs and dragons (though, there IS a dragon). It’s a kind of book that too easily gets lost and forgotten in that uniforming sea that is “mainstream” literature, with no stars above to help orientating. This book is a “rite of passage” or “coming of age” story like millions out there, why picking, specifically, this up, from an unknown author (as Erikson/Lundin was at the time)? You write this book, so powerful, mysterious and filled with revelations, and then you see it drift out in the ocean and sink. And I guess it must be also frustrating, would Erikson be coming to read this I’m writing, declaring that this early, first book is better than the three millions and five hundred thousand words he’d wrote afterwards. That he wouldn’t get any better. But this I say because it’s what I’m honestly thinking, and because this book just can’t get pushed out into oblivion by that juggernaut that is his Malazan series. Admitting no distractions, or indulging outside what is already a pretty huge, even rare, commitment. This book needs to be read. Why, the book itself will tell you. If “The Road” by Cormac McCarthy won (deservedly) the Pulitzer, this book should win symbolically twice the prize. That book dealt masterfully with the father/son relationship and you’ll find some similar themes here, bereft of rhetoric. In a review on Amazon I’ve read the book described as repulsive because it contains “graphic descriptions of sick human behavior”, well, that should be a warning because it can be indeed VERY dark and reveal unashamedly the ugly bottom of human soul. It won’t flinch. Some themes may be eye-rolling inducing because already seen and refashioned millions of times in all mediums. There’s an alcoholic father, there’s domestic violence, violence on animals, a veteran from the war. But believe me that Erikson here has talent enough to veer away from that kind of rhetoric and commonplace. Not unlike David Foster Wallace, the worst of the worst characters with the depths of hell as their souls will still make you care for them. This kind of merciless and dark style of narration is never for sensationalism. But this is the kind of book that doesn’t need any excuse or guidance, just read it, I’m sure you’ll see on your own. I dare you to read it and “not care”, just try, I’ll eat my hat if you don’t. No forum discussions needed to explain why this book is a masterpiece above any genre, or demarcation of any kind. I thought about the stranger, the one who’d once used this secret room, the one who’d sat here at this desk absorbing words and words and words, swelling, bloating and still devouring pieces of the world, until its face had become every face, and no face. The stranger, who was no more in anyone’s mind but mine. And the stranger’s secret, this room and all its books, nothing but food for the rats. I’d tried so hard. Dragging the giant to the history in this room. Dragging this history to the giant on his bed of sticks. I’d thought it important, as if in remaking the world I’d find in my hands a gift. Of understanding, of feeling, of something other than this shivering solitude. All I can say is Wow! Your review compels me to read this book. I hope I can find it somewhere. If not, glad it is being re-released soon. Thanks. Thanks for your comments. As you point out, with the discussion of literature we are each left on our own, with our feelings, our thoughts and impressions. As with most of my best (in my mind) work, I wrote ‘This River Awakens’ from a place of grief, in that the dedication in the novel did not, in its original form, have the word ‘late’ in it. But there are other kinds of grief that are, perhaps, more universal, and it may that this novel’s story brushed on that almost universal look-back on childhood and its world, and those memories we retain with such desperate longing. This past month I had to revisit this novel, to get it ready for its re-release. Normally I don’t re-read my stuff, if I can help it — I already took that journey and it’s now behind me. But a proof was required so in I plunged. It would be too easy to note the autobiographical elements in this novel, as if to give the tale veracity, and many I had forgotten only to be reminded of once more, but what struck me foremost about this novel was its loyalty to all those memories I had suppressed, and yet for all that loyalty, everything — and I mean everything — was made subservient to the story. The Fantasy series took that subservience one step further (although I sense that you may disagree on said merits): the question of whether a reader ‘cares’ or not can’t even be broached in the thinking of a writer when composing. It’s a throw of the dice, and when you know that the reasons for sympathy or empathy awaits the full telling of a tale (even one ten books long), then the gamble is all the greater. In that fashion, the Malazan series (and especially Gardens of the Moon) was always, in my mind, a huge gamble: the longest throw of the dice humanly possible (at least for me). To think that I had the balls to bank on re-reads rather than first reads, was itself testament to both my despair and my (anticipated) frustration. As such, I could only duck under the maelstrom of discontent among first readers; as I did for House of Chains, and Midnight Tides, and then Toll the Hounds. Needless to say, weathering such stuff is tiring, and it may be that I’m still not clear of that (indeed, I might never be clear of that). 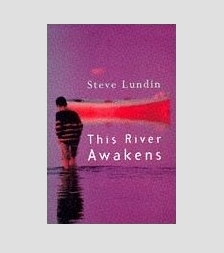 In any case, looking back on This River Awakens, I see (unlike you) the first stirrings of a deliberation, coupled with so much hope and optimism (for how the book would enter the public domain) that it breaks my heart. But who knows, maybe better second time round, eh? The parts that reached me more strongly emotionally were not, as one could imagine, those about the boy and 1st person PoV, or the look back on childhood, what got me was the mother, Elouise, and especially those (very pale) rays of hope at the end. Her very modest reaction to them, as if she was feeling ashamed. A whole lot trapped inside and (literally) without a voice. There were some lines of dialogue that were so simple and yet so powerful, lacking certain emphasis that usually defuses that kind of emotional response for me. It felt not embellished, or rhetoric or artificial. And then also the last pages, but as a kind of consequence. I was also suspecting there was a lot that was autobiographical. It felt exactly that way, though I absolutely can’t point parts that feel more authentic than others. It seems to me you treated everyone equal. About the hope and optimism on the book I think that is entirely independent from the worth of the book. There’s just no way to recognize a book like this, it’s as anonymous as it can be. I would hardly have read it myself. In the end I imagine your readers will be 95% Malazan readers, and so a subset of those who already follow you, always diminishing returns. How can you point to this sort of book and let people know how precious is it? There’s no way (and that new cover WON’T help, I’ve seen it mocked on a couple of blogs already). It’s something similar to Scott Bakker, he was betting on the possibility that his non-fantasy could bring more readers to his fantasy, but he wasn’t so lucky (and I think his “Disciple of the Dog” is very good). It seems just gambling and it can go either way without you being directly responsible. I also wanted to say, but I wouldn’t dare giving you any kind of suggestion, that every time you explain why you don’t reread your stuff you give me the impression more of trying to persuade yourself ;) I think you see a demon where there isn’t one and I think this kind of sacred, inviolable territory you keep could prevent you forming a realistic awareness (and so preventing you to use that kind of detachment from your work that would make you understand better other people’s reactions to it). It’s like your disconcert is something you build and seek, more than something that you “suffer”. You know, different context and different meaning, but it’s as the episode of the dead giant repeating. You don’t want to go look again to see what’s really there. Ok, that’s pretty bad. Like an old wtersen book — here come the pioneers in their wagons trying to get through the wintry plains. At least the Deragoth cover for House of Chains had a decent relation to the book. Look: I picked Guardians years ago in part because of the UK cover. I’ve considered other books because of the covers. This decision is a poor one for Tor.And as weak as some of the Wheel of Time covers have been, the fact remains that they comport with the high fantasy theme, not the wild west trek this one has. I’d prefer something relating to a main scene in the book — like the attack on Cutter, et al. That would rachet up the creep factor.I agree the Rothfuss cover is horrid. If the color template had more pastels, I think B&N and Borders would stack it in the Romance section. uhm, did you want to comment some other post? Ah well, I often have to ‘look again’ to see what’s there, it’s just that I don’t like it. Why? First and foremost, I’m lazy. I mean that seriously. Going back into one’s own work, years after the fact, is plain hard work. Now it looks like I’ll have to do that on the Q&A re House of Chains, and I’m already groaning at the thought. The difficulty is in trying to recapature the mindset of that writer back then: honestly, it’s sometimes impossible. To the question of ‘what in hell was I up to with this, or that’ I often don’t have an answer. That said, I can always and with ease deconstruct my writing on the technical level, and when I do that I can see why I did whatever I did. But that’s not quite the same thing, not to my mind, at least. There’s always another level at work when I write, and it’s strangely ephemeral, almost instinctive, but it’s something I always trust. That said, it exists in a form that is always flowing forward, like a river, and once past, with whatever flotsam it carries, it’s gone for good. I can walk back down to the river’s muddy bank, but the water I see and whatever’s in it isn’t the same as what I saw the last time I was there. I neither build nor seek, but I do find myself getting weary in advance of the invitation to such introspection over past works. Again and again with your questions, you seem to be striving to reach something of that ephemeral subconscious that sits under my writing, and in answer to that I can only throw up my hands, helpless to give you any satisfying answers. That said, the thing to understand is that contemporary fiction never has to carry the burdens of an invented reality, the way Fantasy does. To put it bluntly, writing Fantasy is harder than writing contemporary literature. The author has to work to convince the reader of the world they’re presenting. That’s easy with contempporary literature, since we can (mostly) all agree on what constitutes reality. For that reason, writing ‘This River’ was much easier than writing ‘Gardens,’ but I enoyed the challenge of ‘Gardens’ more. Recall, I’d come through two writing programs, both emphasising contemporary fiction. There were no challenges to writing ‘This River Awakens.’ Whereas ‘Gardens’ was a risky seed planted in uncertain earth. Finally, I was not interested in staying in contemporary fiction, since it seemed that I was bashing my head against a barrier behind which, I believed at the time, lay fame and validation; while at the same time the crowd in the highbrow lit scene (in Canada and then in the UK) struck me as strangely facile and often blinkered, revealing an aversion to anything not deemed ‘legitimate’ literature. Accordingly, breaking through that barrier, real or imagined as it might have been, would have led me into a place that, maybe, just maybe, I didn’t even like. To be honest, when it’s down to the company you keep, well, I couldn’t be happier with my fellow Fantasy writers. They’re more widely read than the lit-types I have met and still meet, and they understand the necessity of writing as entertainment, which can’t always be said for the lit crowd. How ironic, that this could be construed as me thumbing my nose at the serious buffs swanning across the literary pages in every weekend newspaper. But really, there’s as much crap in ‘literature’ as there is anywhere else, and much of what is hyped as deep is in fact simply obscure, or obtuse through incompetence. To conclude, it seems ‘This River Awakens’ found a fan in you, and that’s great. It also seems that you have sought to compare my efforts in the genres I have written in, and found the Fantasy stuff wanting. For obvious reasons, I disagree. ‘This River” was a kind of warm-up, in terms of themes that interested me, but it’s very mythological subtext is what got the novel panned in the first place … so the lesson I took from that was simple: find a genre where mythological allusion, allegory, symbolism, etc, could be explored without constraint, and then do it all using sleight of hand, the cards passing underneath the flash of rip-roaring adventure. That genre is Fantasy and so here I am, content in the knowledge that I made the right choice. I think in some imaginary first version of my review I wanted to say that: “This River Awakens” provides a shortest path, due to the nature of fantasy works of being somewhat “separated”. So, even as a reader (and I agree on it being harder to write too), you need to close that space. This other book was more immediate because I didn’t need to cross to another world and so, emotionally, it connected more easily and felt closer. My conclusion is actually that as a reader I’m not good enough for Malazan. I also somewhat fall short (of its full intent). But I believe it’s the same for many if not most readers, realizing how everything in that secondary work is a projection of emergent stuff that is “real” and meaningful on this side. You undoubtedly chose the steeper road, you don’t simply write “fantasy”, but a particular kind that is very hard to “make believe” (I remember how you defused this argument on magic being real with your example of the helicopter and some native never exposed to civilization, somewhere in the Tor reread commentary). Martin’s series works more easily (more popular and everything) also because of his choice of keeping magic and other fantasy elements at the periphery, with the bulk of the books being a “gritty” men-driven story. It’s definitely “easier”. It seems to work proportionally to the LACK of fantasy elements, with many readers who ask for suggestions about other fantasy books that too have light fantasy elements. Hence my failure as reader, since in some of those comments on the reread I explained how certain choices in the books, in particular those magic interventions, also kept me at a “distance”. Not believing it. On the matter of going back to read your own stuff, what you describe isn’t what I mean. I don’t intend you looking back for some specific purpose, or to answer a question. Nor it is about you trying somehow to go back in time and recalling that precise state of mind that informed your choices. What I mean is the exact opposite of this. It’s because you can’t actually go back that way that you “should” (or shouldn’t, I’m just trying to explain my point) do the reading I intend. You aren’t anymore that writer, so you can sit down with the book, strictly as a reader, and read it from the first to the last line as the rest of “us”. This distance from the writer you were at the time is the distance that could make this further reading useful, as you approach your own work from a completely different angle. But, huh, I realize it’s dangerous as it would probably lead to a culling of that first experience, with something else. That doesn’t make it directly better or more complete. But it’s a bit like a director who works on a movie for months or years, in its disassembled state, and only at the end finally sits down and watches the final product, as a spectator. Probably discovering in it things he never intended, for the best or worst. Otherwise it’s a dark box, and I’m not sure you can understand some of the criticism that is flung at you. And consider that all I wrote about “This River Awakens” didn’t blunt my appreciation and enthusiasm for Malazan (or again my intent in continuing reading it, even if slowly). It’s just that the book reached me more easily, and I got its message more clearly. I do not think that the two overlap and so one making the other superfluous. But it’s another entry point and I’m a significant step closer to understanding it. And I wrote mostly to provoke other Malazan readers, to pick up the book as it isn’t simply a minor, less relevant work to overlook. Oh, once more thimg: you give the impression in your review that you have read the Malazan series in its entirety. From what I understand, you haven’t. Accordingly, no comparative judgement can be made, can they? Having just re-read ‘This River Awakens,’ here on the heels of my completing ‘Forge of Darkness,’ what do I see? An early work, deliberate in style, thematically undisguised. See? Different reads, different takes. As for the rest, we all have to live with frustration, but for me I’m not going to let it eat me alive. I just have to keep going, doing what I do, and with luck I won’t starve or end up dead in some back alley. For the boost on behalf of This River Awakens, thank you. It’ll probably need all the help it can get. Well, my opinion is that you could do something about it, and sometimes reading interviews I have a suspicion that you miss some simple points about that criticism (by refusing it “wholesale” and without making distinctions). For example I think that some sharp corners of GotM could have been rounded, without compromising the book or redoing its structure. I think it needed a bit more breathing space and some characters voicing at least some of the questions a reader would ask. As well some pivotal events that needed to be fleshed out, in dialogue at least. I mean, there are concessions that could be made without resorting to compromises, modifying style etc… The devil is in the details and sometimes these have their importance as well. So beside criticism of your work that is about specific *choices* you made, there are also aspects that could as well be improved (be more palatable) while still sticking to the goals you have set and surrendering nothing. Indeed. But as one who loves When She’s Gone (haven’t gotten to This River Awakens yet), and who also appreciates a book like Toll the Hounds for having its own share of Magic Realism and/or Weird City shades in addition to the more obvious Epic Fantasy qualities, I hope we’ll get to see SE work in multiple genres going into the future. All right, Ab, I could make these changes to some future edition of Gardens of the Moon, but then, a whole lot of people have told me they had no problem with the novel. They got it, and enjoyed it. As usual, one can’t please everyone, and besides, I have new works to occupy my mind these days. Consider it frozen in time, locked into the past, and move on. I did. The 25-year preface to “Gödel, Escher, Bach” said the same things. Criticism could still be useful (or not) about your current work. Why not bring Gödel, Escher, Bach up to date and make it a book worthy of ushering in the twenty-first century — indeed, the third millenium? Well, the only answer I can give, other than that life is short, is that GEB was written in one sitting, so to speak. GEB was a clean and pure vision that was dreamed by someone else — someone who, to be sure, was remarkably similar to yours truly, but someone who nonetheless had a slightly different perspective and a slightly different agenda. GEB was that person’s labor of love, and as such — at least so say I — it should not be touched. Indeed, I somehow feel a strange inner conﬁdence that the true author of GEB, when one ﬁne day he ﬁnally reaches my ripe age, will tender to me the truest of thanks for not having tampered with the vessel into which he poured so much of his young and eager soul — the work that he even went so far as to call, in what some might see as a cryptic or even naively romantic remark, “a statement of my religion”. At least I know what he meant. Should translate something like: rest in peace, as a faithful presentation of my worship.